I am a witch...have been for a very long time, not the green skinned warty kind obviously...the real sort but I am also a working wife and mother who has also been lucky enough to write and have published a book or three. I love to learn, I love to study and I have done so from books, online resources schools and wonderful mentors over the years and still continues to learn each and every day but I have learnt the most from actually getting outside and doing it. I regularly give talks to local pagan groups and co-run open rituals and workshops run by the Kitchen Witch Coven. I am High Priestess of the Kitchen Witch Coven and an Elder at the online Kitchen Witch School of Natural Witchcraft. It is also my pleasure to contribute articles regularly to the Mystik Way, Pagan Dawn and Spirit & Destiny magazines. My craft is a combination of old religion witchcraft, wicca, kitchen witchery, hedge witchery and folkmagic. My heart is that of a Kitchen Witch. This year-long Arc of the Goddess course will take you on a personal journey of discovery, taking each month as the wheel of the year turns and introducing you to different goddesses and pantheons with your choice (or theirs ) about who you work with and how you work with them. The authors hope to help you connect with the magical energies of each month as well as giving you lots of practical exercises to work with and suggestions on how to make your spiritual connection stronger. 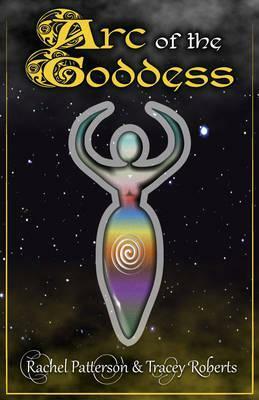 At the end of the course it is hoped you will not only have discovered your own personal pantheon of goddesses to work with but also uncovered The Goddess Within "